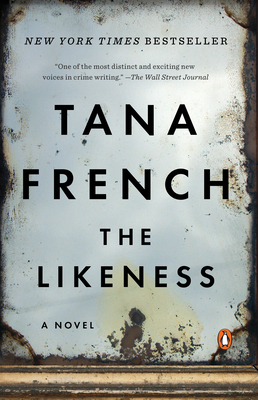 In the The Likeness, Tana French blurs the line between mystery thriller and literary fiction with a haunting look at what can go wrong when we refuse to accept the impermanence of a beautiful moment in time. In order to solve a murder, Detective Cassie Maddox goes undercover and infiltrates a tight-knit group of graduate students (one of whom is the killer) living in an old farm house in the Irish countryside. French skillfully draws us in as Maddox becomes emotionally involved with the group and longs more and more to be the woman she is impersonating. Eerie, bone chilling, sinister. A first-rate thriller. New York Times bestselling author Tana French, author of The Witch Elm, is “the most important crime novelist to emerge in the past 10 years” (The Washington Post) and “inspires cultic devotion in readers” (The New Yorker). In the “compellingˮ (The Boston Globe) and “pitch perfectˮ (Entertainment Weekly) follow-up to Tana French’s runaway bestseller In the Woods, itʼs six months later and Cassie Maddox has transferred out of the Dublin Murder Squad with no plans to go back—until an urgent telephone call summons her to a grisly crime scene. The victim looks exactly like Cassie and carries ID identifying herself as Alexandra Madison, an alias Cassie once used as an undercover cop. Cassie must discover not only who killed this girl, but, more important, who was this girl? Tana French is also the author of In the Woods, The Likeness, Faithful Place, Broken Harbor, The Secret Place, and The Trespasser. Her books have won awards including the Edgar, Anthony, Macavity, and Barry awards, the Los Angeles Times Award for Best Mystery/Thriller, and the Irish Book Award for Crime Fiction. She lives in Dublin with her family.